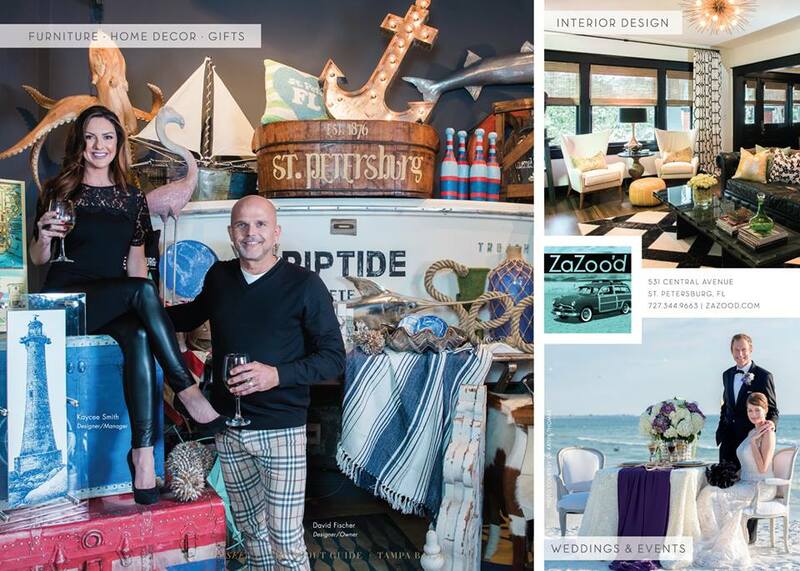 Three years ago owners David Fischer and Jodie King envisioned ZaZoo'd as a different kind of home interior store! Why buy from a big box when you can #SupportLocal and find one-of-a-kind? Looking to expand into Tampa in the next year, we can't wait to see what this creative couple comes up with next! A longtime favorite shopping spot in St. Petersburg for my husband and me, read why we enjoy getting ZaZoo'd! Besides simply being fun to say, ZaZoo'd, in the Central Arts District of Downtown St. Petersburg, is one of my favorite places to find 'treasures'! 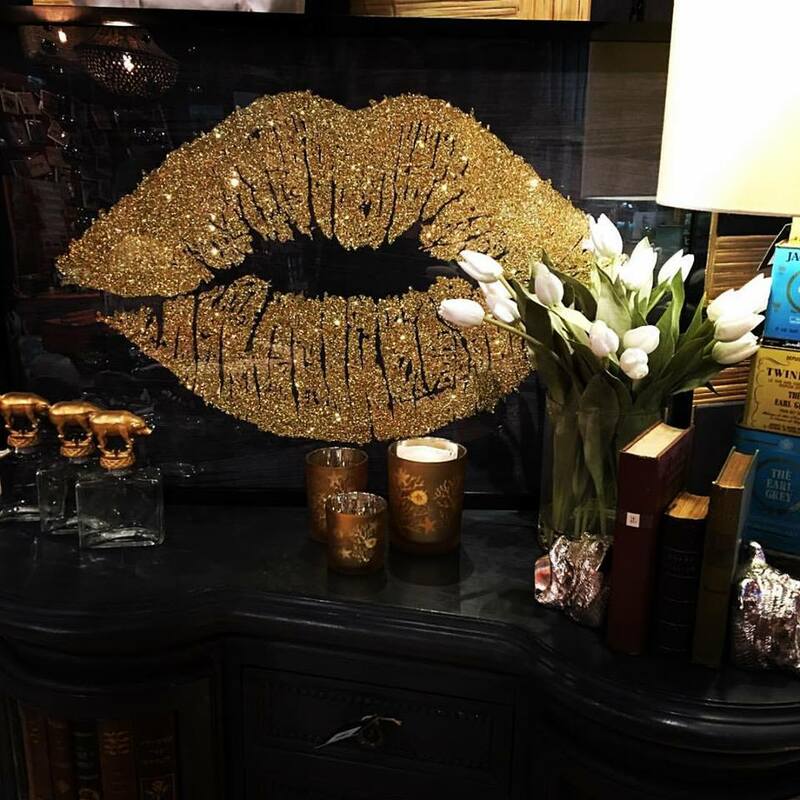 Whether I am looking for furnishings and beautiful accessories for my own home, for a special gift for a bride or dear friend, or looking for unique pieces for an event, ZaZoo'd has long been one of my go-to shops! Even my kids get ZaZoo'd at Christmas when Santa leaves them cute things in their stockings like the Monkey Soaps and BeachBum necklace, and under the tree like the American Flag duffle bag! The first time my husband and I explored Jodie and David's unique shop we were greeted quickly and offered assistance in finding the perfect piece. That day we were in 'treasure hunting' mode, electing to wander aisle after aisle of objects that made us smile and say, "Hey look at this!" Sometimes we pop in just to browse, checking in to see what's new, other times we know exactly what we are looking for, either way, ZaZoo'd consistently comes through. When in search of the perfect gift all I have to do is explain what my friend is like and the experts at ZaZoo'd guide us to the right thing at the right price! ZaZoo'd is that rare shop where your husband will have just as much fun as you do perusing the wares! Wait! Don't have time? 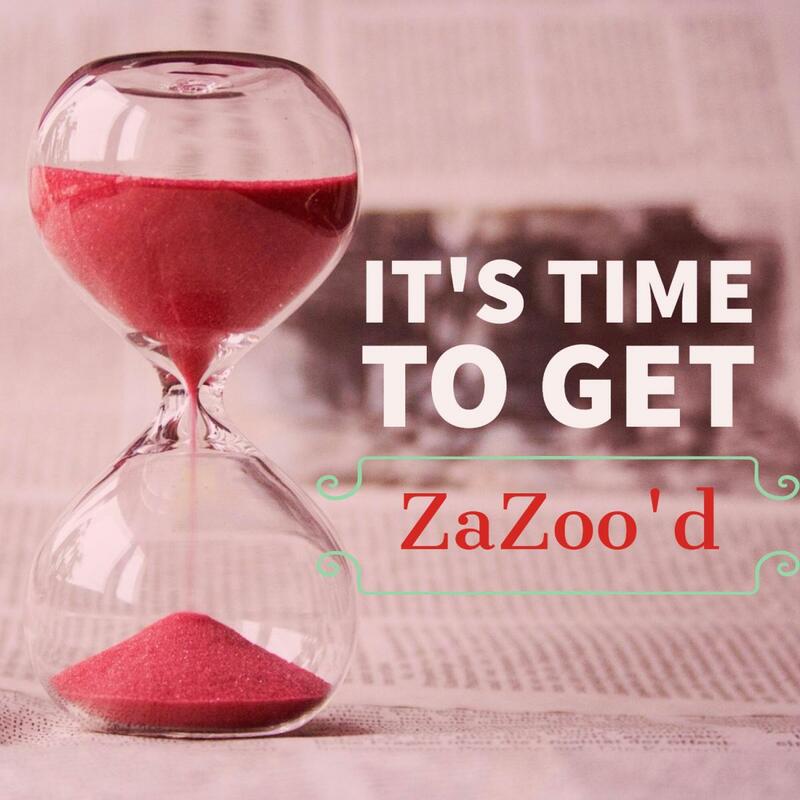 No worries, I have GREAT NEWS, you can #GetZazoo'd online! With a style, all their own ZaZoo'd is the place where vintage industrial meets coastal chic!. Repurposing vintage and new pieces, the artists at ZaZoo'd create unique works of art from otherwise mundane pieces! Offering something for everyone they can design an entire space, find the perfect gift for a friend, or simply make your day with something whimsical and fun you did not know you needed until you set foot in their door. Beware, ZaZoo'd IS habit forming! We asked David, "What does the name mean?" He replied, "ZaZoo'd grew out of our love of wine and general feeling we get from drinking it! "Getting ZaZoo'd" to us means releasing someone's inner creative genius! Isn't time you got ZaZoo'd? Stop by and be amazed at the treasures you will see and experience! Ask for Jodie and David, they LOVE meeting their clientele and have something truly unique and special to show you!